"Hundreds of British Columbians head into the BC Day long weekend facing stress and uncertainty concerning the largest financial transaction of their lives because of the provincial government's abrupt intervention into the Metro Vancouver housing market this week. VICTORIA – Foreign buyers purchased more than $1 billion in real estate in B.C. in five weeks, new government figures show. The amount, $1.024 billion, represents 7.9 per cent of the total $12.89 billion of real estate sold in the province between June 10 and July 14. Most of those foreign buyers — 73.3 per cent — were in Metro Vancouver, according to provincial data. In the Metro region, foreign citizens bought $885 million in real estate out of a total $8.8 billion during the time period, representing 10 per cent of purchases. Canada's banking regulator said on Tuesday it will require the country's banks to test how they would withstand a 50 percent drop in property prices in Vancouver and a 40 percent decline in Toronto. The move, which builds on an existing requirement that banks test their resilience to a 30 percent decline in home prices across all regions, is the latest in a series of measures by Canadian authorities to counter a risk posed by soaring house prices in the two Canadian cities. Wake up to unobstructed VIEWS of the Fraser River, Burrard Inlet, Port Mann Bridge and Mt Baker. 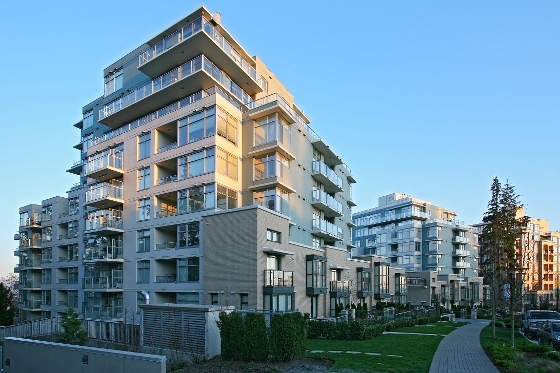 Less than a 10 minute WALK from Simon Fraser University. Excellent INVESTMENT and very AFFORDABLE property. This is a very QUIET & PEACEFUL unit. The very well MAINTAINED property is beautifully landscaped. Spacious unit with One bedroom & DEN. Includes STAINLESS STEEL appliances and GRANITE countertops. Walking distance to Nester Market, other shops, a local pub & spectacular NATURE trails. The B.C. government plans to tax foreigners who buy residential property in the Vancouver area – an announcement that follows months of pressure to address foreign speculation that many have blamed for the region’s superheated housing market. The British Columbia Real Estate Association (BCREA) reports that a record 12,906 residential unit sales were recorded by the Multiple Listing Service® (MLS®) in June, up 14.3 per cent from the same month last year. Total sales dollar volume was $8.97 billion in June, up 25.7 per cent compared to the previous year. The average MLS® residential price in the province was up 10 per cent year-over-year, to $694,925. The trend measure of housing starts in Canada was 197,918 units in June compared to 190,302 in May, according to Canada Mortgage and Housing Corporation (CMHC). The trend is a six-month moving average of the monthly seasonally adjusted annual rates (SAAR) of housing starts.